Seydou Keita. Untitled,1949. 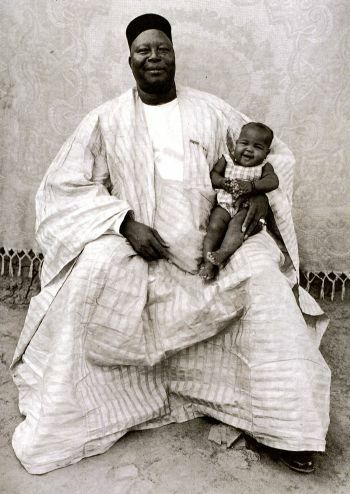 In: In/Sight: African Photographers, 1940 to the Present, p. 66. NY: Guggenheim Museum, 1996. Ousmane Ndiaye Dago. Untitled, no date. 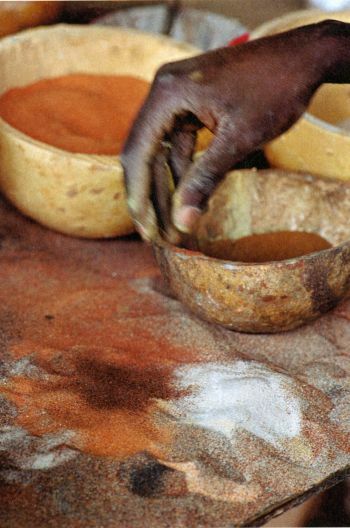 In: Africa Inside, curated by Wim Melis for the Fries Museum, p. 49. Groningen, The Netherlands: Stichting Aurora Borealis, 2000. Yu Xunling (Hsün Ling). "Tzu-hsi (Cixi), Empress Dowager of China," c.1903. 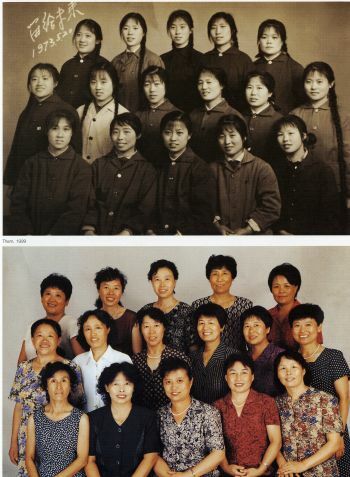 In: History of Photography in China: Chinese Photographers 1844-1879, by Terry Bennett, p. 28. London: Quaritch, 2013. Hai Bo. "Them," 1999. In: The Chinese: Photography and Video from China, p. 31. Wolfsburg, Germany: Kunstmuseum Wolfsburg, 2005. Photographer unknown. 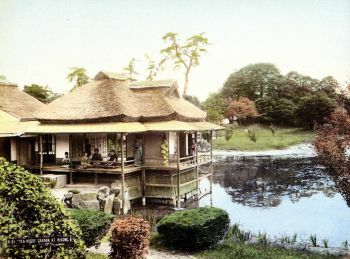 "Tea House and Garden, Hikone, Shiga Prefecture," no date. In: Souvenirs from Japan: Japanese Photography at the Turn of the Century, by Margarita Winkel, plate 24. London: Bamboo Publishing, 1991. Domon Ken. 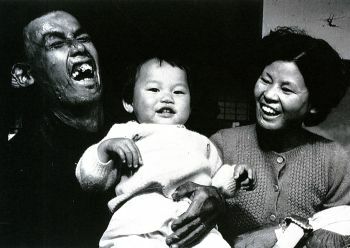 "Mr. and Mrs. Kotani: Two Who Have Suffered from the Bomb," 1957. (Domon Ken Museum of Photography, Sakata, Japan.) In: The History of Japanese Photography, by Anne Wilkes Tucker et. al., plate 146. New Haven: Yale University Press, 2003. Graciela Iturbide. "Fifteen Years Old," 1987. In: A Song to Reality: Latin-American Photography 1860-1993, p. 314. Madrid: Lunwerg Editores, 1998. Evandro Texeira. 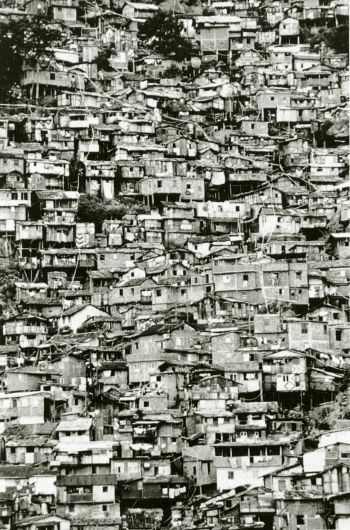 "Dona Marta Favela, Rio de Jeneiro," 1988. 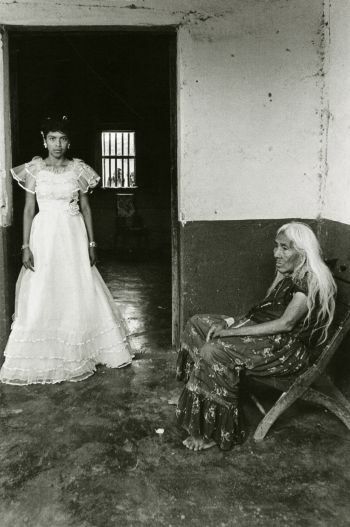 In: A Song to Reality: Latin-American Photography 1860-1993, p. 46. Madrid: Lunwerg Editores, 1998. Rania Matar. "Miriam, Bourj al Shamali Palestinian Refugee Camp, Tyre, Lebanon," from the series "A Girl and Her Room," 2009. In: She Who Tells a Story: Women Photographers from Iran and the Arab World, by Kristen Gresh, plate 29. Boston: MFA Publications, 2013. [Uncredited.] 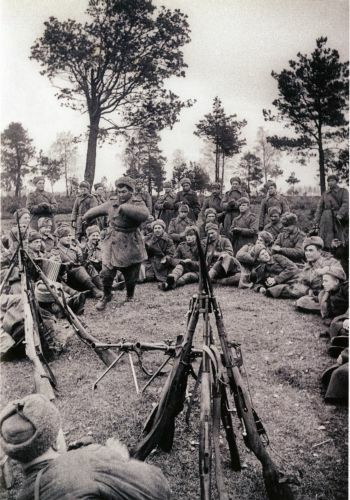 "Soldier doing an impromptu folk dance on the Byelorussion front," 1944. (Collection of the ITAR-TASS Photo Agency.) In: The Soviet Image: A Hundred Years of Photographs from Inside the TASS Archives, by Peter and Sam Redetsky, p. 139. San Francisco: Chronicle Books, 2007. Boris Ignativic. Untitled, 1938. In: Pioneers of Soviet Photography, by Grigory Shudakov et. al., p. 174. London: Thames and Hudson, 1983. Haney, Erin. Photography and Africa. Exposures. London: Reaktion Books, 2010. Investigates the many themes that intertwine photographs with the circumstances of their production and presents a wealth of rare images. Stresses the importance of pre- and post-colonial photographers and investigates how the medium has influenced other art forms such as painting, sculpture, textiles, and public performance. International Center of Photography. Snap Judgments: New Positions in Contemporary African Photography. Edited by Okwui Enwezor. 1st ed. New York, NY : Göttingen: International Center of Photography ; Steidl, 2006. Exhibition organized by the International Center for Photography to “illuminate the enormous social and cultural shifts now taking place across the African continent” and provide an alternative to “the current of ‘Afro-pessimism’ that runs through much of the global media reporting about the continent.” Includes scholarly essays and bibliography. Saint Léon, Pascal Martin, and Editions Revue noire. Anthology of African and Indian Ocean Photography. English ed. Paris: Editions Revue noire, 1999. A “collage” that aims to reflect the scope of African photography with as broad a vision as possible. Includes sections on “beginnings,” portrait photographers, official agencies, images of reality, in search of an aesthetic, Indian Ocean, and Diaspora; also includes [brief] photographers’ biographies, bibliography, key exhibitions, and a list of important magazines. Solomon R. Guggenheim Museum. In/sight: African Photographers, 1940 to the Present. Edited by Clare Bell. New York: Guggenheim Museum : Distributed by H.N. Abrams, 1996. Exhibition at the Guggenheim presents photographs “created and disseminated by African artists engaged with issues of subjectivity - such as identity, self-determination, and difference - during a period that witnessed the nadir of colonialism and the formation of many independent African nations.” Includes artist biographies. South African National Gallery, and William Fehr Collection. Eye Africa: African Photography 1840-1998, SA National Gallery, William Fehr Collection, 19.12.1998-27.2.1999. Edited by Pierre-Laurent Sanner. Cape Town: Eye Africa Project, 1998. The most comprehensive collection of sub-Saharan photography ever to be exhibited in Africa, the exhibition offered a cross-section of work spanning the years 1840 to 1998, ranging from the regal portraits of Senegalese master photographers Mama Casset and Meissa Gaye to the experimental work of South Africa's Julia Tiffin. Walther Collection. Appropriated Landscapes: Contemporary African Photography from the Walther Collection. Edited by Corinne Diserens. Göttingen: Steidl, 2011. Explores the landscapes of Southern Africa with photography and video from artists including David Goldblatt, Santu Mofokeng, Jo Ractliffe, Penny Siopis, and Guy Tillim; examines the effects of war, migration, colonization, industrialisation and ideology on South Africa, Namibia, Angola, and Mozambique and in doing so reveals the varied histories of these regions and their peoples. ———. Contemporary African photography from the Walther Collection: Events of the Self: Portraiture and Social Identity. Edited by Okwui Enwezor. Göttingen: Steidl, c2010. Presents works by three generations of African artists and photographers – including Seydou Keïta, Malick Sidibé, J. D. ’Okhai Ojeikere, Rotimi Fani-Kayode, Santu Mofokeng – alongside works by classic German photographers such as August Sander and Bernd and Hilla Becher. Focus areas are portrait, identity, body, sexuality, and performance. Asia House Gallery, and American Federation of Arts. 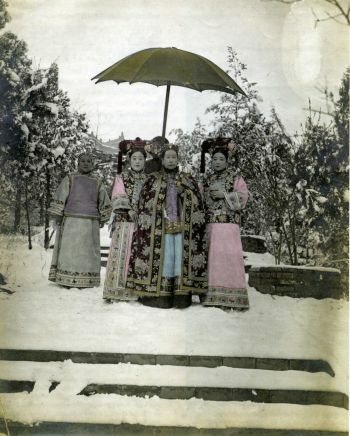 Imperial China: Photographs 1850-1912. Edited by Clark Worswick and Jonathan D. Spence. New York: Pennwick Publishing :b[distributed by] Crown, 1978. Photographs and several brief but cogent essays show how Chinese and Western photographers documented imperial China in its final years, as the camera became "the increasingly omnipresent witness to the Opening to the West and to the inevitable demise of imperial rule." Includes work by unknown and obscure photographers as well as famous photographers such as Felice Beato and M. Rossier. Includes an index of commercial and amateur photographers of China, 1846-1912, a list of the collections from which the photographs were drawn, and a bibliography. Bennett, Terry. History of Photography in China 1842-1860. London: Bernard Quaritch Ltd, 2009. First volume of an important 3-volume set overcomes the obstacles to researching early Chinese photography (the sheer vastness of the subject in a vast country, the limited number of extant photographs not in private or institutional collections outside China, and the dearth of written contemporary sources) to document, mostly in a chronological arrangement, the first images, the first studios, commercial images, amateurs, photographers during the Opium Wars, images of war, and studios in Hong Kong. Includes a chronology of Chinese photography to 1860, an index of Chinese photographers 1842-1860, early stereoviews of China, and a bibliography. ———. History of Photography in China: Chinese Photographers, 1844-1879. London: Quaritch, 2013. Continues Bennet’s History of Photography in China 1842-1860. Organized geographically, sections include photography in Peking, Hong Kong, Guangzhou, Shanghai, Fuzhou, Xiamen, Honkou, Tianjin and other ports, Aomen, and Taiwan. ———. History of Photography in China: Western Photographers, 1861-1879. London: Quaritch, 2010. Concentrates on the Western photographers, professional and amateur, who photographed in China during the 1860s and 1870s. Includes sections on Hong Kong studios, photography in Peking and in the treaty ports, roving photographers, and photographic periodicals; also includes an extensive bibliography and chronologies. Galerie Rudolfinum (Prague, Czech Republic). A Strange Heaven: Contemporary Chinese Photography. Edited by Tsong-zung Chang, Petr Nedoma, Susan Acret, Phil Tinari, and Tsong-zung Chang. Hong Kong: Asia Art Archive, 2003. Exhibition of 150+ works of 44 artists from China, Hong Kong, and Taiwan. Includes a chronology of contemporary Chinese art (1976-2003) and artist biographies. Clark Stacks NE2683 P73 2003. Gu, Zheng. Contemporary Chinese Photography. Harrow Middlesex: CYPI Press, 2011. Collection of works selected to provide insight into the changes taking place in Chinese society, as well as an understanding of the recent trajectory of photography as a digital medium in China. Includes biographical sketches of the 60 photographers. Exhibition at the Getty of 19th-century photographs by both Chinese and non-Chinese photographers. Catalog includes sections on the camera obscura and early photography, the art and science of photography in late Qing China, inventing a Chinese portrait style in early photography, photographic genres in the 19th century, and photography in Republican Shanghai and wartime Chonqing. Philadelphia Museum of Art. The Face of China as Seen by Photographers & Travelers, 1860-1912. Edited by Nigel Cameron and L. Carrington Goodrich. Millerton, N.Y: Aperture, 1978. Photographs, taken by Chinese and Western photographers, document Chinese life at the end of the nineteenth century, depicting people, landscapes, cities and towns, buildings, workplaces, executions and punishment of criminals, and customs and activities of daily life. Includes an essay on Westerners in China and a list of the sources of the photographs. Roberts, Claire. Photography and China. Exposures. London: Reaktion Books, 2013. Scholarly work explores the introduction of photography to China, how the medium was understood in technological and cultural terms, and how it has been applied, beginning with daguerreotypes of the 1840s and concluding with present-day digital images. Includes a glossary of Chinese names and terms and a select bibliography. Ansel Adams Center, and Friends of Photography. Modern Photography in Japan 1915-1940. Edited by Deborah Klochko. San Francisco: Friends of Photography, 2001. Exhibition presented at the Ansel Adams Center for Photography in San Francisco; the catalog includes an essay by Keneko Ryuichi and 79 images by 32 photographers. Bennett, Terry. Old Japanese Photographs: Collectors’ Data Guide. London: Quaritch, 2006. Companion volume to Photography in Japan 1853-1912 includes selected articles (“old” and “new”); research data on such topics as deguerreotypes of Japan and Japanese subjects and early stereoview sets in Japan; a number list of souvenir albums; an index of Japan-related stereoview photographers and publishers, and photography studio advertisements. Appendices include an index of commercial and amateur photographers in Japan 1853-1912, chronology of Japanese photo-history. ———. Photography in Japan, 1853-1912. Rutland, Vt: Tuttle Publishing, 2006. Written to provide collectors, photo-historians, and curators with a current picture of the state of Japanese photo-history research; to provide biographical details of early photographers; to argue the importance of identifying both the photographers and their motivations; and (in the Appendices) to provide important and practical research tools. Most of the appendices are found in the companion volume: Old Japanese Photographs: Collectors’s Data Guide. Includes extensive notes, a chronology, photographic copyright regulations in Japan (1887), an extensive bibliography, and an index of commercial and amateur photographers in Japan, 1853-1912. Fraser, Karen M. Photography and Japan. Exposures. London: Reaktion Books, 2011. Examines the development of photography in Japan through its relationship with Japan’s cultural, political, and social history. Includes references and a select bibliography. Museum of Fine Arts, Houston, and Cleveland Museum of Art. The History of Japanese Photography. Edited by Anne Tucker, Dana Friis-Hansen, Ry¯uichi Kaneko, J¯o Takeba, Iizawa Kotaro, and Kinoshita Naoyuki. New Haven, Conn. ; London: Yale University Press; in association with the Museum of Fine Arts, Houston, 2003. Exhibition at the Museum of Fine Arts, Houston and the Cleveland Museum of Art, introducing Japanese photography from its beginnings to the present day. Important, extensive catalog includes sections on early developments in Japanese photography, the origins and development of art photography, the age of modernism, realism and propaganda, postwar photography, and the internationalization, individualism, and institutionalization of photography. Nihon Shashin Ky¯okai. A Century of Japanese Photography. Edited by John W. Dower. 1st American ed. New York: Pantheon Books, 1980. Includes chapters on the dawning of photography in Japan, the period of enlightenment, records of war, art photography, the epoch of development, and advertising and propaganda. Mostly photographs, very little text. Museum of Fine Arts, Houston, and Santa Barbara Museum of Art. Chaotic Harmony: Contemporary Korean Photography. Edited by Karen Sinsheimer, Anne Tucker, and Pon-ch‘ang Ku. Houston : [Santa Barbara, Calif.] : New Haven: Museum of Fine Arts ; Santa Barbara Museum of Art ; Distributedby Yale University Press, 2009. Exhibition co-organized by the Museum of Fine Arts, Houston and the Santa BArbara Museum of Art brings together the work of 40 photographers. Hooton, Keiko S. Contemporary Photography in Asia. Munich ; New York: Prestel, 2013. Includes brief essays on photography in Asia, in Japan, in China, in Korea, and in Southeast Asia. Mostly plates, each accompanied by a brief statement from the photographer. Includes artist biographies and a bibliography. Santagostino (Modena, Italy). Contemporary Photography from India and South America: The Tenth Parellel North. Edited by Filippo Maggia, Claudia Fini, and Francesca Lazzarini. Milano: Skira, 2012. Investigates [the work of photographers from] the Indian subcontinent and South America, two important realities that are far closer than the geographic distance between them would suggest. Billeter, Erika. A Song to Reality: Latin-American Photography 1860-1993. Barcelona: Lunwerg Editores, 1998. Sections on specific photographers and on the birth of an iconography, images of cities, studio photography, Cuzco, the Mexican revolution, and the gaze of women are illustrated by plates of photographs. Includes biographical summaries and a bibliography. Daros Collection. La Mirada: Looking at Photography in Latin America Today. Edited by Hans-Michael Herzog. Zürich: Daros Latin America Collection: Edition Oehrli, 2002. “Conversations” with 10 photographers from Brazil, Mexico, Cuba, Chile, and Guatemala.Volume 2 includes plates, exhibition histories, and a bibliography. The exhibition catalog is divided into sections on territory, the city, informing/resisting, memory and identiry, and revuelta(s). Includes a timeline called “a half century of Latin American histories,” biographical entries for the 72 photographers, and a bibliography. FotoFest 1992. Image and Memory: Photography from Latin America, 1866-1994: FotoFest. Edited by Wendy Watriss and Lois Parkinson Zamora. 1st ed. Austin, Tex: University of Texas Press, 1998. Not intended to be a formal history of photography or a survey of photographers in Latin America; nevertheless this exhibition was comprehensive in its geographic coverage and in representing diversity of voice and genre. It includes artist biographies and an extensive bibliography. Gutiérrez, Ramón, Patrícia Méndez, and Solange Zúñiga. Bibliografia Sobre História da Fotografia na América Latina = Bibliografía Sobre Historia de la Fotografía en la América Latina. Rio de Janeiro: FUNARTE; Buenos Aires: CEDODAL, 1997. Important bibliography, indexed by author/title and by country and date. Kunsthaus Zürich. Fotografie Lateinamerika von 1860 Bis Heute. Edited by Erika Billeter. Bern: Benteli, 1981. Includes brief essays on the photography of Brazil, Venezuela, Argentina, Cuba, and Mexico. Includes photographs from these countries as well from Guatemala, Panema, and Peru, organized by country. Pages 382-399 comprise brief biographies of the photographers. Barnes, Martin, Homi K. Bhabha, and Rose Issa, eds. Iranian Photography Now. Ostfildern: Hatje Cantz, 2008. Gresh, Kristen. She Who Tells a Story: Women Photographers from Iran and the Arab World. Boston: Museum of Fine Arts, 2013. Exhibition at the Museum of Fine Arts, Boston, August 27, 2013 - January 12, 2014. Essay by Kristen Gresh contextualizes the work of 12 artists from Iran and Arab world whose photographs explore issues of, among other things, politics, culture, artistic and personal expression, gender, and "the fractured identity and disposession of 'women's being'" at a critical moment in Iranian and Arab history. Houghton Library, Fogg Art Museum, and Harvard Semitic Museum. Sight-Seeing: Photography of the Middle East and Its Audiences, 1840-1940: Fogg Art Museum, 8 December 2000-22April 2001. Edited by Jülide Aker. Harvard University Art Museums Gallery Series, no. 30. Cambridge, Mass: Publications Dept., Harvard UniversityArt Museums, 2000. Perez, Nissan. Focus East: Early Photography in the Near East (1839-1885). New York: Abrams, 1988. Part I, the Photographic Image of the Near East, includes sections on such topics as historical background, western attitudes toward the East, orientalism and art, and the photographic image of the Orient. Part II is an “A to Z” biographical dictionary of photographers working in the Near East. Includes reference notes and bibliography. Fotomuseum Winterthur, and Moskovskii dom fotografii. Sowjetische Fotografie Der 20er Und 30er Jahre = Soviet Photography of the 1920s and 1930s. Moscow, Russia: Winterthur, Switzerland: Moscow House of Photography; Fotomuseum Winterthur, 2004. Mostly images, but does include essays on pictorialism and realism in Soviet photography of the 1920s and 1930s. Includes, for each photographer, a chronology of important biographical events. Melot-Henry, Annette. La Photographie Soviétique de 1917 À 1945. Sources et Travaux de La BDIC. Nanterre: Presses universitaires de Paris-Ouest, 2012. A textual history, with only a few photographs. Includes a lengthy bibliography. Musée des arts décoratifs (France). Pioneers of Soviet Photography. Edited by Grigory Shudakov, O. Suslova, and L. Ukhtomskaia. New York, N.Y: Thames and Hudson, 1983. Mostly images, but does include an introductory essay, notes on many of the photographs, short biographies, and a bibliography. Radetsky, Peter, and Telegrafnoe agentstvo SSSR. The Soviet Image: A Hundred Years of Photographs from inside the Tass Archives. San Francisco: Chronicle Books, 2007. The TASS archives “represent the single largest visual record of Russian history” and the authors had unprecedented access to those images. Includes a section on the Russian people and then is organized chronologically: royalty to revolution (1905-1917), establishing power (1917-1927), the man of steel (1927-1941), the great patriotic war ()1941-1953), the thaw (1953-1964), stagnation (1964-1984), the last days (1984-1991) and the New Russia (1991-2005). Rheinisches Landesmuseum Bonn. Russische Photographie, 1840-1940. Edited by David Elliott. Berlin: Ars Nicolai, 1993. Includes essays on the history of photography in Russia, early photography and early masters of Russian photography, realism and documentation in photography, photography as art, and avant-garde and 20th-century photography. Also includes brief biographies of the photographers, a glossary, and a select bibliography. Santagostino (Modena, Italy). Contemporary Photography from Eastern Europe: History, Memory, Identity. Edited by Filippo Maggia, Claudia Fini, and Francesca Lazzarini. 1st ed. Skira Photography. Milano, Italy: New York, N.Y: Skira, 2009. Focuses on "contemporary artistic positions in Central and Eastern Europe from the viewpoint of memory, identity, and history" following the end of the Cold War and the fall of the Iron Curtain. The 29 artists in the collection come from 18 countries in different zones: Balkans and former Yugoslavia, Baltic republics and Central European nations, countries in the past inside, or outside, the Soviet Bloc, and Turkey. Walker, Ursitti & McGinniss. 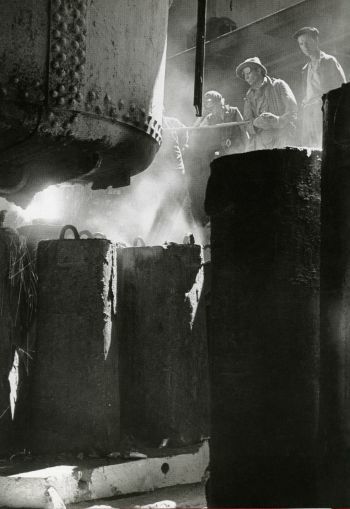 Photo Manifesto: Contemporary Photography in the USSR. Edited by Aleksandr Nikolaevich Lavrentev and Michael Botwinick. New York: Stewart, Tabori & Chang: Distributed in the U.S. by Workman Pub, 1991. Presents photographers working “as the Soviet Union emerges from the shadows of its past,” as artists “are given a pivotal role in helping to heal the damaged national psuche and rouse independent thought...” Includes essays that set the historical context and presents work from specific areas such as Minsk, Leningrad, and Moscow.